Welcome to Wildwood Design, Home of the BangleGuy! On our website, you will find a great assortment of wood and metal products for the Do-It-Yourself Artisan. 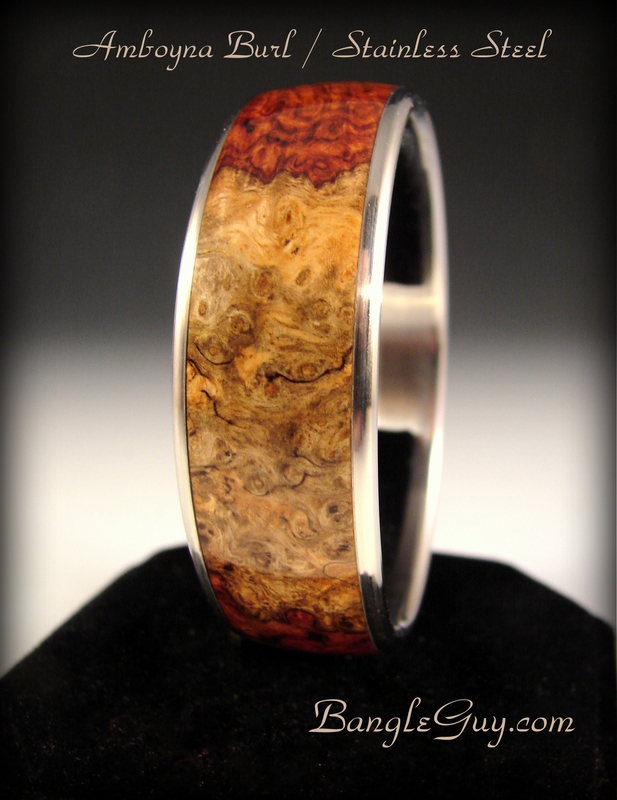 At BangleGuy.com, we offer metal components, stabilized & resin cast wood blanks, video and written instructions, and tooling for DIY artisans to make unique bangles, rings, pendants and Christmas ornaments. Best of all, our metal products are CNC machined in Western Colorado (Made in USA)! Cook up some popcorn and have fun watching our video series on YouTube! We are always working on new videos, and on our YouTube Channel you will see us in action making bangles, rings and ornaments. For those looking to take their hobby to the next level, we also offer lots of great advice and tips for making and selling your finished pieces. It's true, you can earn extra income as a woodturner! Let us help you learn how - HERE. To learn about our products and the materials used, go to the About Us tab. Signup for our Newsletter! Follow along with WildWood Design product developments and get some great coupon savings. Just subscribe to our periodic newsletter HERE. We have a new ring chart, Download our ring size chart HERE. Learn more about manufacturing in Colorado by watching a short YouTube video CLICK HERE. Sign up to the WildWood Design YouTube channel and watch the latest video tutorials as they are released! Or you can call the office at 970-901-5071 Monday through Friday 9am-5pm Mountain Time. If you have technical questions please email Rob at support@bangleguy.com. Happy Turning! We actively post our latest creations on Facebook so check in often to see what is happening at WildWood Design!